Are you craving a recipe that asks you to “bread” something? And you think that it’s just not possible since you only make Gluten-Free Recipes? Gluten-free breading is easier than you think and we are going to guide you through your journey of cooking healthy and gluten-free. We understand that sometimes breaded things cannot be avoided. They have to be savored. Did you know that SCIO Quantum Biofeedback can help you get rid of allergies and food intolerances? But, if you haven’t made your appointment to get rid of those allergies or are in the process of doing so, no worries, we got your back! 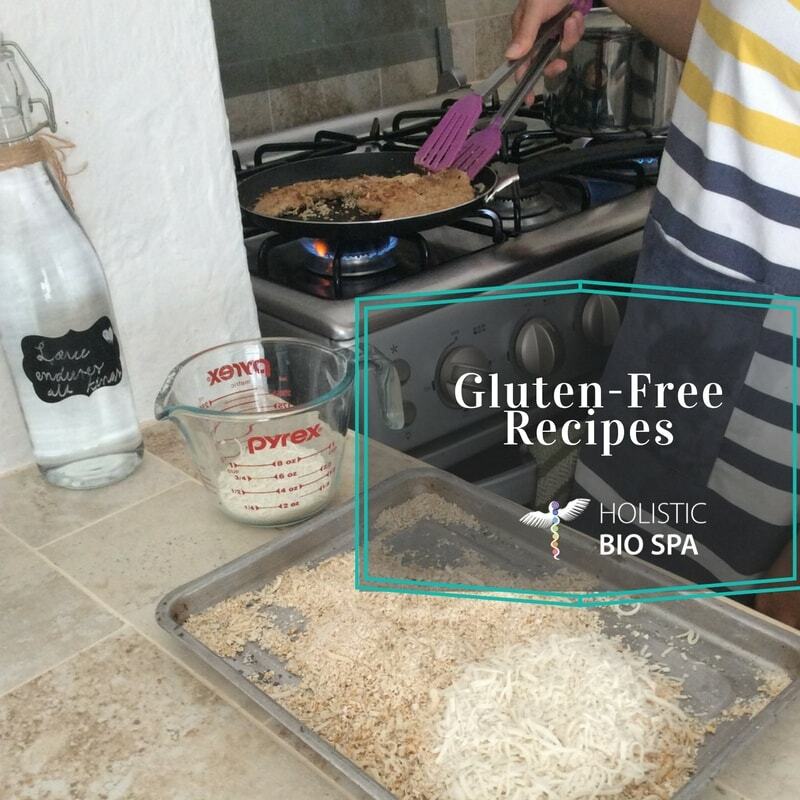 How to prepare my healthy gluten-free recipe? Put oatmeal and shredded coconut in a bowl and mix. Beat eggs and pour them in a different bowl. Dip each piece of chicken in the bowl with eggs. Coat the pieces of chicken with the shredded coconut and oatmeal. Preheat a frying pan and add oil. Cook the chicken without turning until beginning to brown, about 1 minute. Flip the chicken and cook the other side until equally brown, about 45-seconds to 1-minute more. You can serve it with brown rice, black beans, and honey mustard. Now you are all set to enjoy your healthy, gluten-free breaded chicken ???? At Holistic Bio Spa we loved savoring the crispiness of this simple, yet delicious meal. But more importantly, we love staying healthy and sharing our recipes with you. Do you have a gluten-intolerant friend who would love this easy-to-make breaded chicken recipe? Share with them and let us know in the comments how yours turned out! PS. If you are ready to get rid of allergies and food intolerances with the SCIO Quantum Biofeedback give us a call at ??? ?+52 (322) 221 1607 to discuss your needs.